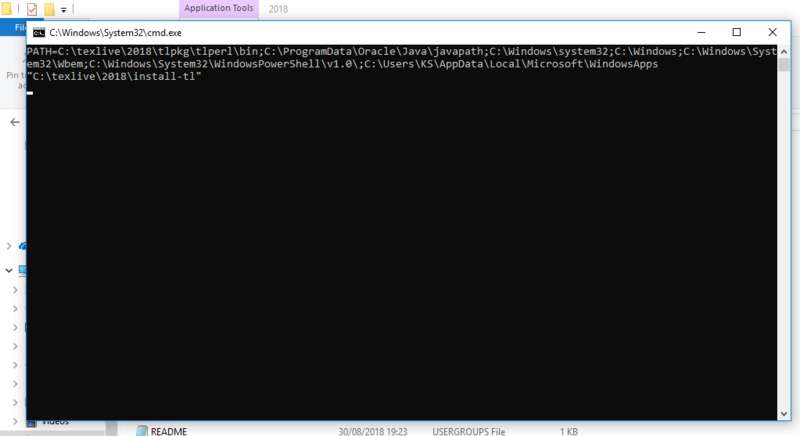 I am not able to run install-tl-windows file to install texlive. I also tried with install-tl-advanced file but it is also not showing any result. I am getting something like this attached image when I run install-tl-windows file. I don't know what is the problem and what to do now. I have texlive 2018 in my laptop and I am using windows 8. .
Browse other questions tagged installing windows texlive-2018 or ask your own question.